Succulent prawns, Marie Rose sauce, served with Salad, Lemon and Bread & Butter. Served with Salad garnish, Lemon and Bread & Butter. Served with Salad garnish, Lemon Dill Mayonnaise and Bread & Butter. Traditionally smoked Herrings in a creamy Pate served with a crusty roll and Salad garnish. Wholetail breaded Whitby Scampi, served with Lemon and a Sweet Chilli or Garlic Mayonnaise dip. Served with Chutney and salad garnish. Coated with seasoned flour and served with a Sweet Chilli or Garlic Mayonnaise Dip. 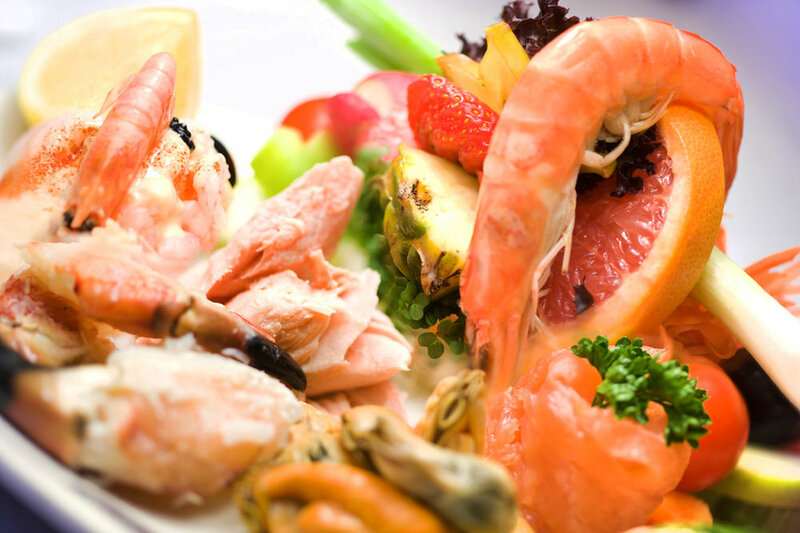 A cold selection of fresh Crab, poached Salmon, smoked Salmon, Kipper Pate, Prawns and Mussels. Chunks of Cod, smoked Haddock, Prawns, Mussels and Salmon, in a creamy Fish and Vegetable Stock. Please note our Cod & Haddock dishes come in 3 sizes; Small, Medium, Large, and are available in Gluten Free batter, floured or poached upon request. Skinned with succulent meaty flakes. Served with chipped potatoes, lemon and homemade Tartare sauce. 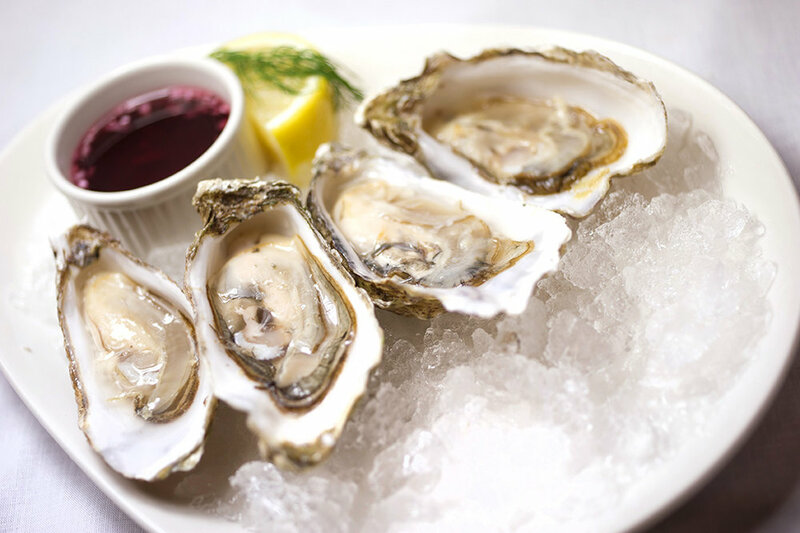 Skin-on with a delicate white flesh. Served with chipped potatoes, lemon and homemade Tartare sauce. A tender, meaty white flesh. Served with chipped potatoes, lemon and homemade Tartare sauce. Served with new potatoes and buttered greens. Served with Hollandaise sauce, new potatoes, garden peas and salad garnish. Tasty pieces of cod, haddock, prawns, fresh salmon, smoked salmon, cheddar cheese and onion, in our own creamy leek sauce. Topped with creamed potato and served with garden peas. Served with salad garnish, chipped potatoes, garden peas and Tartare sauce. Prime minced beef layered with pasta and Béchamel sauce dusted with parmesan, served with a crisp mixed salad or chipped Potatoes. Delicious 100% prime beef, seasoned with herbs, served with creamed or chipped potatoes and garden peas. A combination of fresh vegetables, including aubergines, mushrooms, spinach, leeks, courgettes, layered with feta, pasta and cottage cheese, topped with a creamy Béchamel sauce, served with chipped potatoes, salad or new potatoes. Including courgettes, leeks, peppers, French beans, onion, broccoli, cauliflower, carrots, sweetcorn, mange tout, etc. 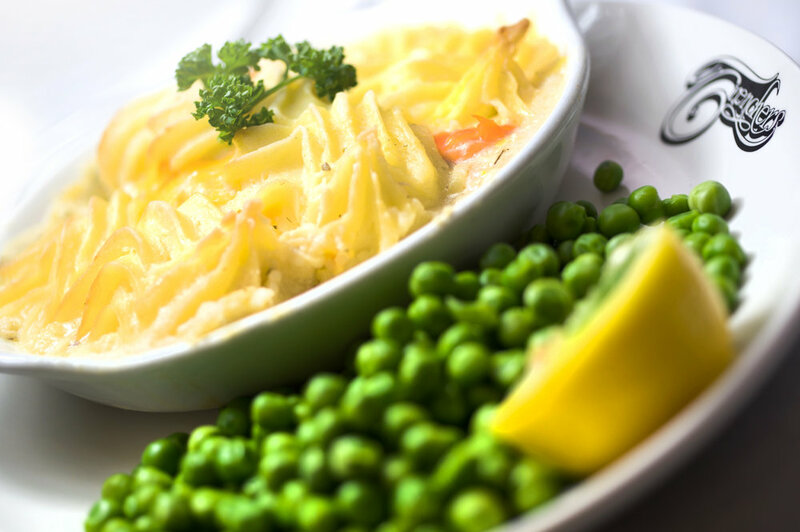 Cooked in a creamy cheese sauce with wholemeal crust, served with chipped potatoes, salad or new potatoes. Two homemade breaded cod and haddock fishcakes with chipped potatoes and salad garnish. 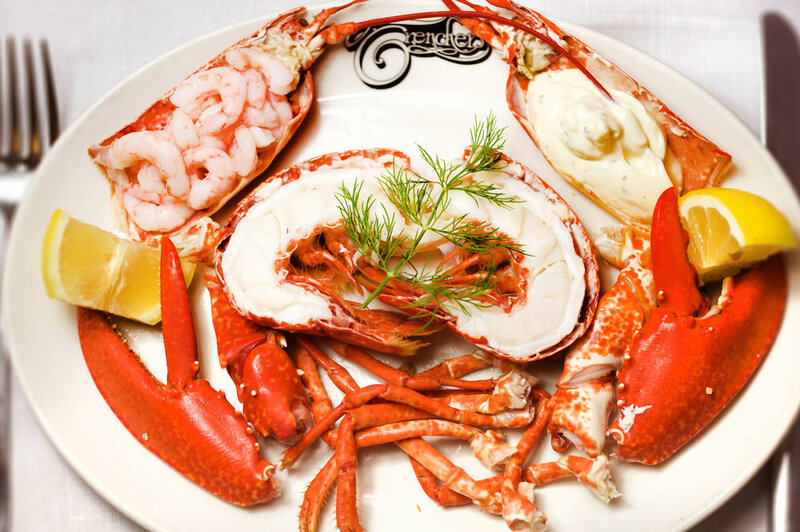 A cold selection of fresh crab, poaches salmon, smoked salmon, kipper pate, prawns and mussels, served with a mixed salad. Served with a crisp mixed salad, lemon and mayonnaise. 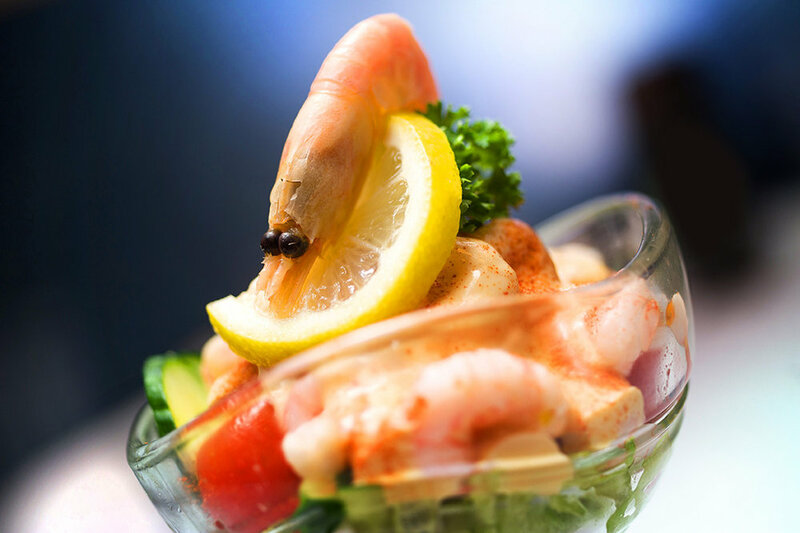 Succulent prawns with a delicious Marie Rose sauce, served with a crisp mixed salad. Served with Pineapple and a crisp mixed salad. Served with three varieties of cheese, pickle and chutney, crusty bread and a mixed salad. On white or brown bread, served with chipped potatoes. Served with chipped potatoes and Marie Rose sauce. A light chocolate sponge covered in rich chocolate sauce with ice cream or fresh cream. Made with Harveys Bristol Cream. Scoops of vanilla ice cream, Amaretto liqueur, topped with whipped cream and crushed Amaretti. 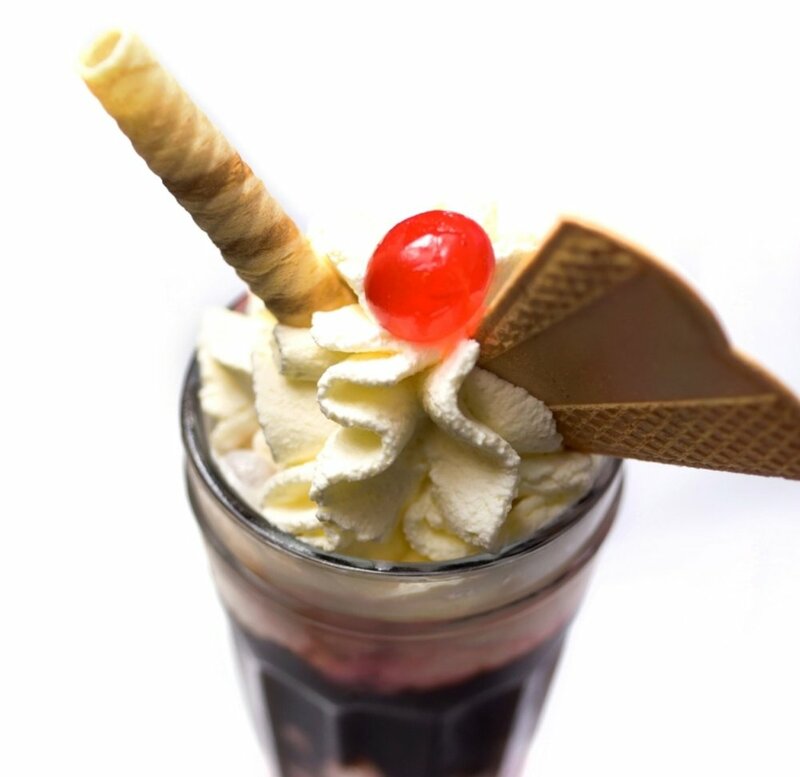 Served with hot toffee sauce, ice cream or fresh cream. Traditional ice cream sundae, with fresh fruit jelly, topped with freshly whipped Cream. 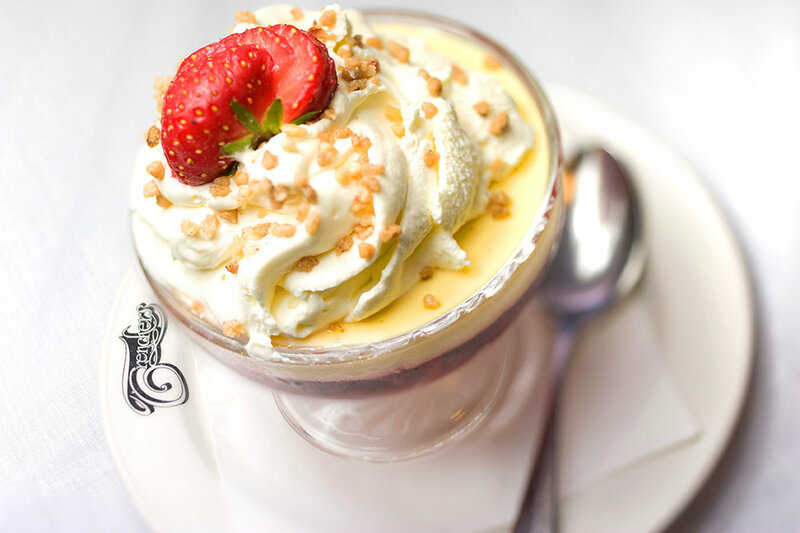 Served with ice cream or fresh cream or custard. Trio of ice cream and a choice of toppings. Topped with whipped cream and a Gluten Free biscuit.